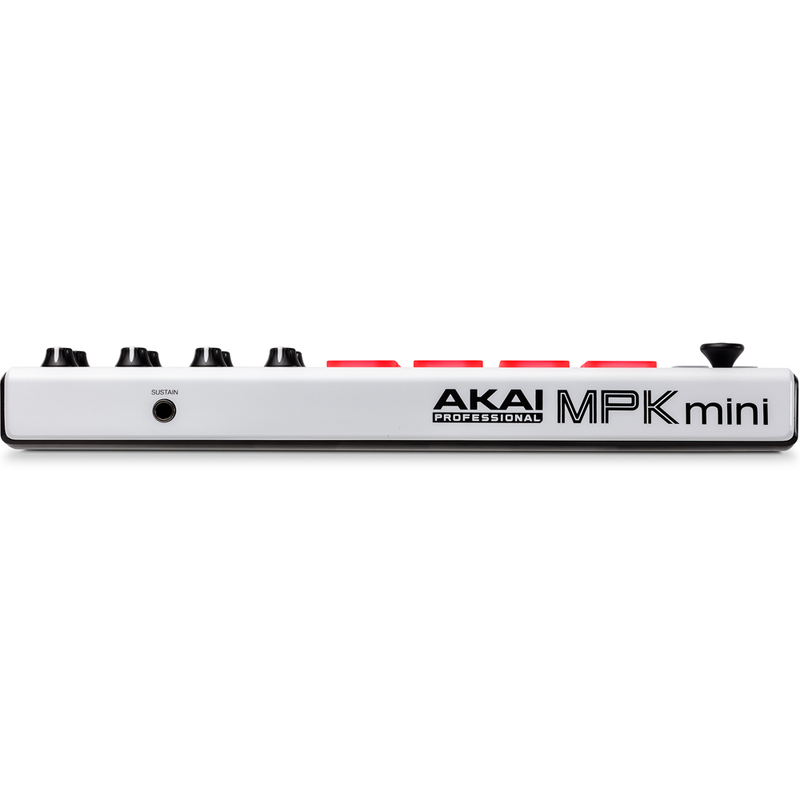 The Akai MKP mini is an ultra-compact keyboard controller designed for the traveling musician and the desktop producer. With an array of hardware controls, MPK mini lets you record, compose, and perform with virtual instruments, effect plugins, and DAWs whenever inspiration strikes. 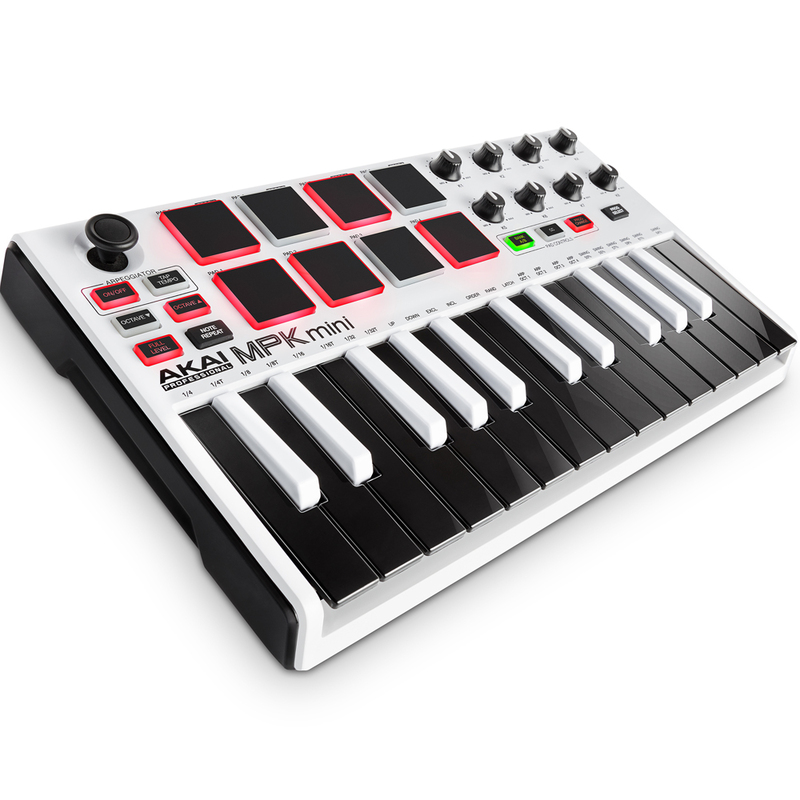 It has 25 velocity-sensitive synth-action mini keys, a 4-way thumbstick for dynamic pitch and modulation control, and 8 backlit velocity-sensitive MPC-style pads with Note Repeat & Full Level. Two banks expand the number of MPC-style pads to 16. There are also 8 assignable Q-Link knobs for mixing, tweaking plug-ins, and more. 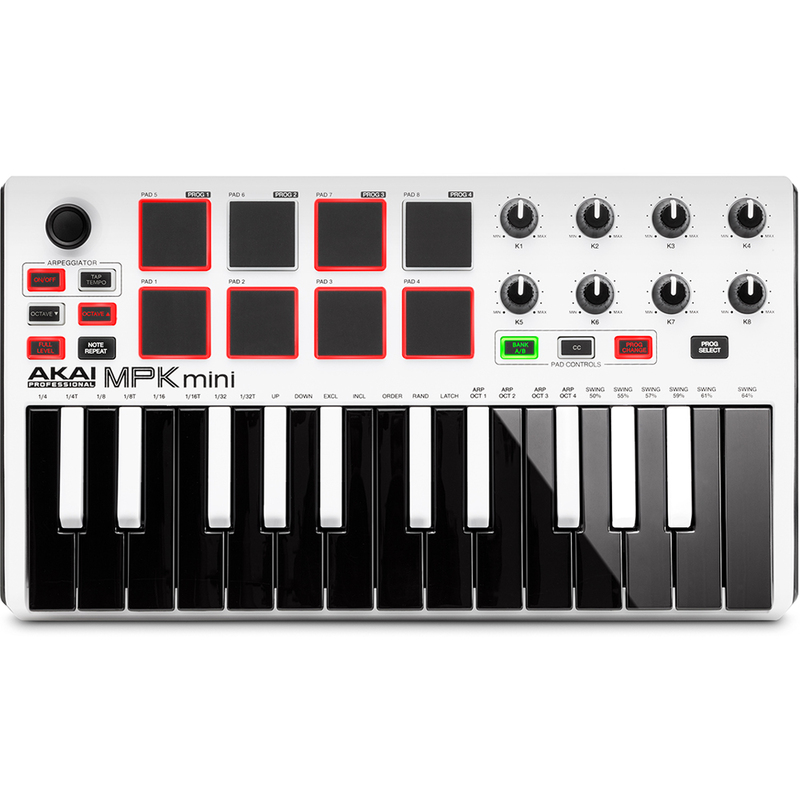 The MPK mini includes all the essentials for quickly laying down and expanding upon your musical ideas. Dedicated Octave Up and Down buttons increase the keyboard to the full melodic range, and a full-size sustain sustain pedal input is built in for expressive playing and recording. 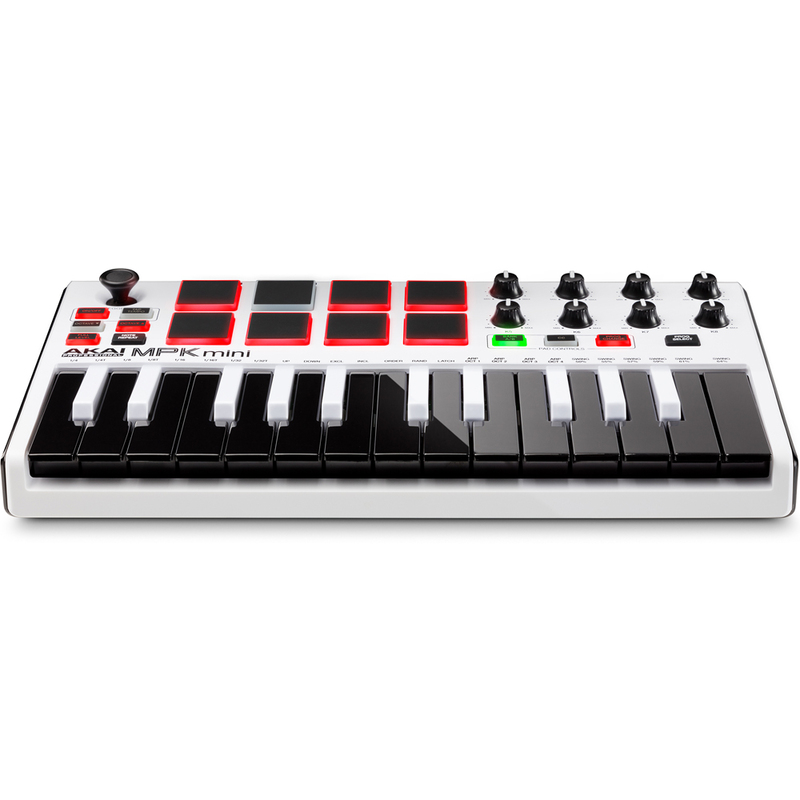 There is a built-in arpeggiator with adjustable resolution, range, and modes. Plus, MPC Note Repeat and Full Level allow users to access genuine technologies from Akai Professional’s line of MPC workstations. The MKP mini MIDI Editor MIDI editor is a powerful preset management software that lets you customise your hardware and software setup on your Mac or PC. Four memory banks enable you to store hardware/software presets for quick and easy setting up of your computer and MPK mini. 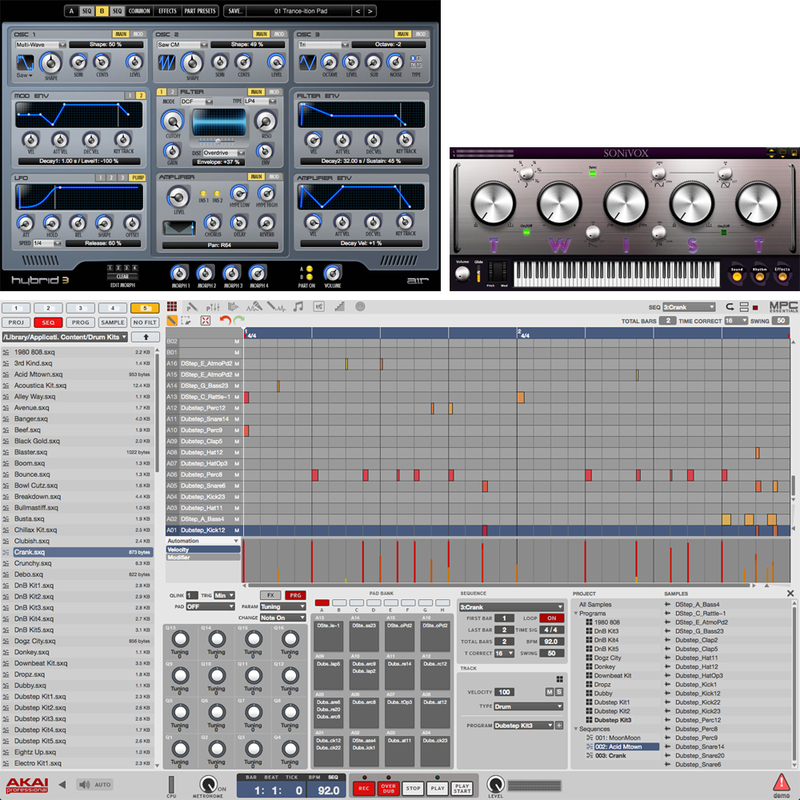 Also included in the bundle is a comprehensive production software package: Akai Pro MPC Essentials, SONiVOX Wobble, and Hybrid 3 by AIR Music Tech (downloads). 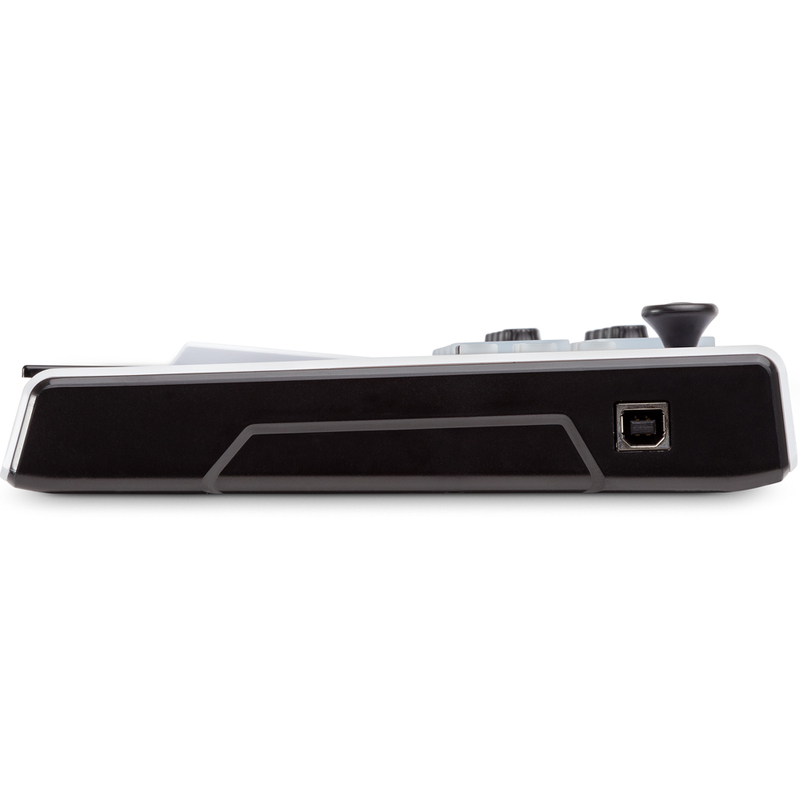 The MKP mini’s ultra-compact design makes it highly portable and lets you create anywhere. It’s USB-powered, so no power adapter is required. Just plug into your Mac or PC and go! Wanted to downsize sobthis was perfect. The free software is amazing and sounds fat and the delivery was faster than expected. At this price point (£69), this is real value for money and works well for me to input to Presonus Notion 6 software to produce guitar tablature. The bundled software Wobble and Hybrid 3 has proved very difficult to activate and will not be able to solve without technical support, a real downer and has interfered with my Cubase 8.5 installation, errrrr.